In the days following the Yom Kippur attacks Israel suffered a number of setbacks, and Washington became increasingly concerned. Nixon alone concluded that the US must step in to back Israel against Arab forces whose primary military supplier was the Soviet Union—the 1963 war became more than just necessary to save the Jewish state, it became a struggle between the world’s preeminent Super Powers. Kissinger opposed the US action. Finally, after several days of internal politicking amongst the upper echelons of the Administration, Nixon got his airlift: “Operation Nickel Grass.” Over the course of the airlift 567 missions were flown, delivering over 22,000 tons of supplies, and an additional 90,000 tons were delivered to Israel by sea. Later in her life, Israeli Prime Minister Golda Meir would admit that upon hearing of the airlift during a cabinet meeting, she began to cry. After Nixon saved Israel with US aide in the Yom Kippur War Chaim Herzog, Israel’s sixth president, said this of Nixon’s ugly comments about Jews revealed in the White House tapes. In 1972, Yitzhak Rabin, Israel’s ambassador in Washington, was accused of taking sides in the US election after he said in an Israeli radio interview that no president in American history had been more committed to Israel’s security than Nixon. Rabin proved prescient. Reprinted with permission from Roger Stone. 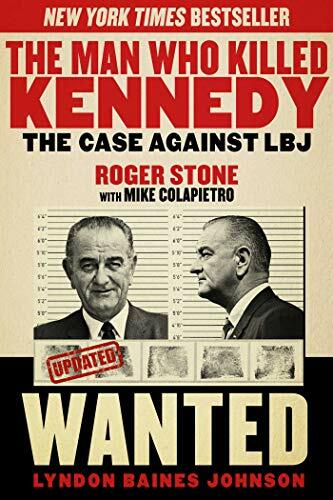 Roger Stone is a former Republican political consultant specializing in opposition research. 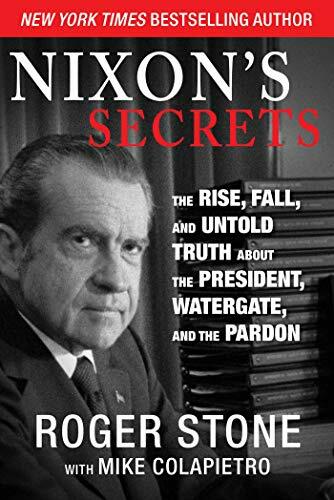 He is author of The Man Who Killed Kennedy: The Case Against LBJ; Nixon's Secrets: The Rise, Fall and Untold Truth about the President, Watergate, and the Pardon; The Clintons' War on Women; and his latest book Jeb and the Bush Crime Family.